Taking Flight: Baby Passerines Pour In, House Finches, American Robins, Ducklings and Gosling, Sandhill Crane With Leg Injury and Lead Poisoning. 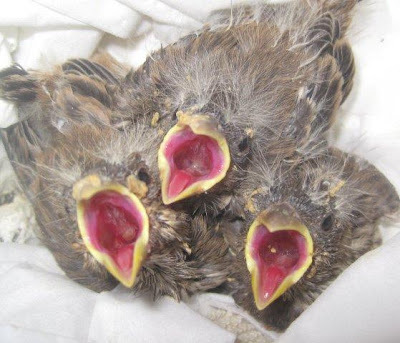 Baby Passerines Pour In, House Finches, American Robins, Ducklings and Gosling, Sandhill Crane With Leg Injury and Lead Poisoning. Whew! We have been BUSY at REGI. We admitted 18 baby birds of various species and varieties including Eastern Phoebes, American Robins and House Finches, Mallard ducklings and Canada Gosling, and a Bluebird just in the past few days. 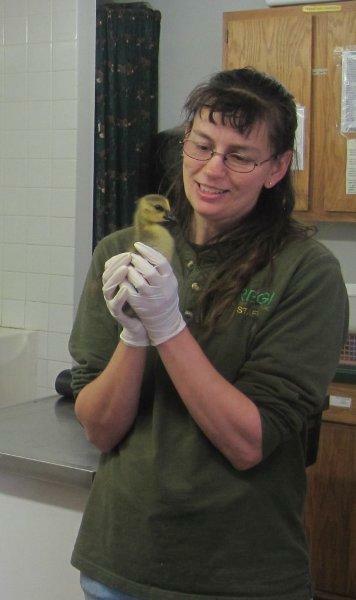 We also admitted an adult Sandhill Crane ,American Kestrel,and a Red-tailed Hawk. The phone is ringing often these days with calls about injured birds, baby birds in trouble and sometimes just bird related questions. 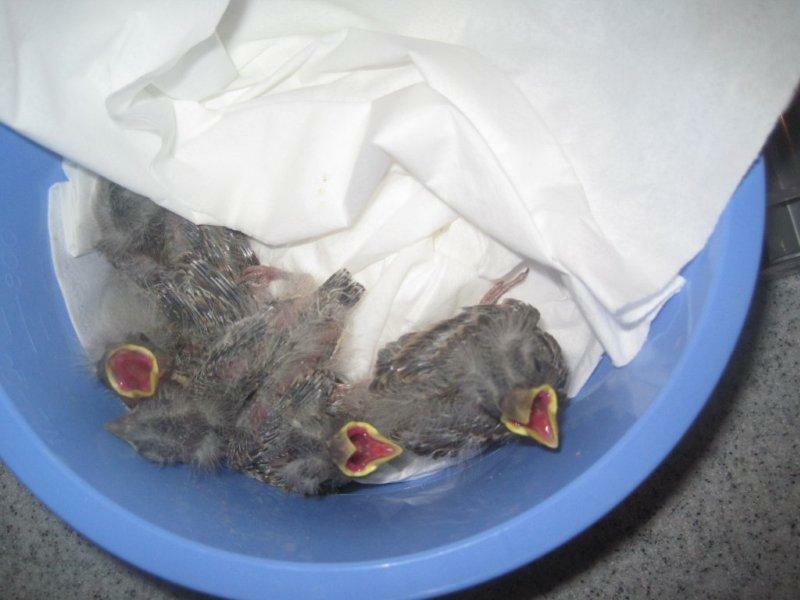 We like the questions especially if it means we can keep baby birds with their parents to be raised naturally and without human intervention. 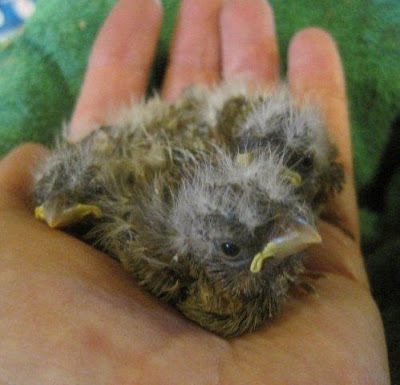 Most of the birds we care for come from members the of the public that either see an accident or other injury occur and call REGI for help. 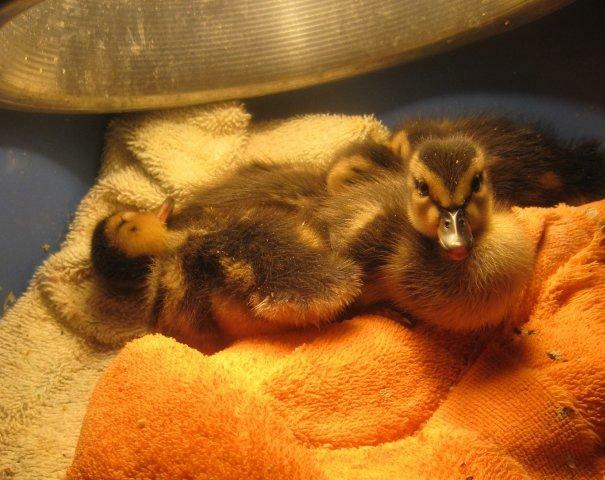 A young woman was on her way to work when she saw a female Mallard Duck hit by a car. She was horrified to see several tiny ducklings scatter into the underbrush. 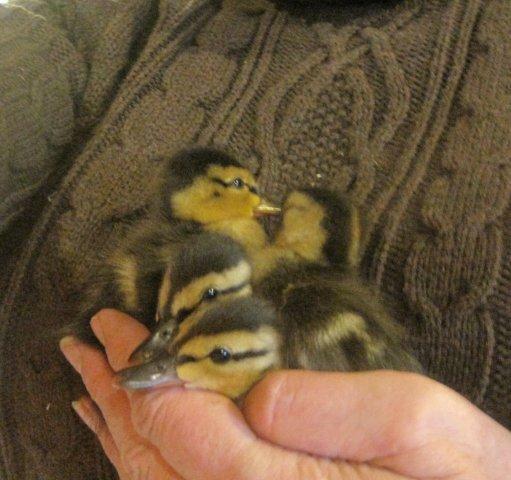 The ducklings had been following their mother across the busy road. This stellar young woman did what any daughter would, she called her dad for help! Her parents soon arrived on the scene, scooped up the ducklings and brought them to REGI. Friday night we responded to a call near Hatley, WI. 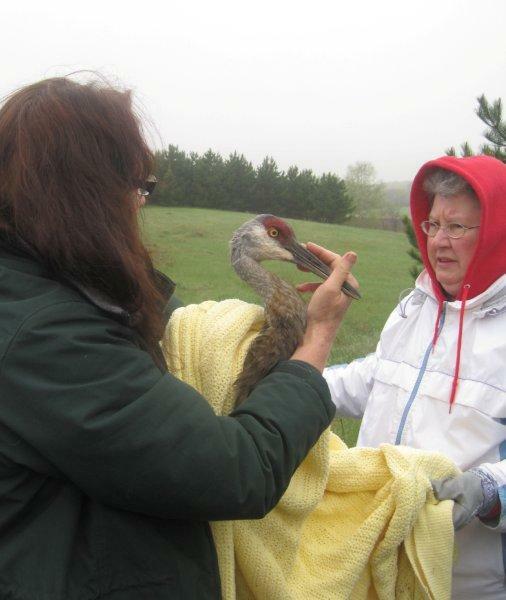 A Sandhill Crane, unable to walk well was caught up by a landowner and needed help transporting her. We found Kathy and Jay Drobnik waiting with the crane as we arrived. 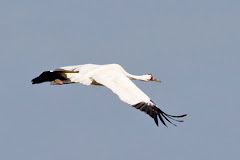 Not only did the crane have a leg/hip injury but was thin and exhibited other neurological signs. We tested her and found she had lead poisoning. 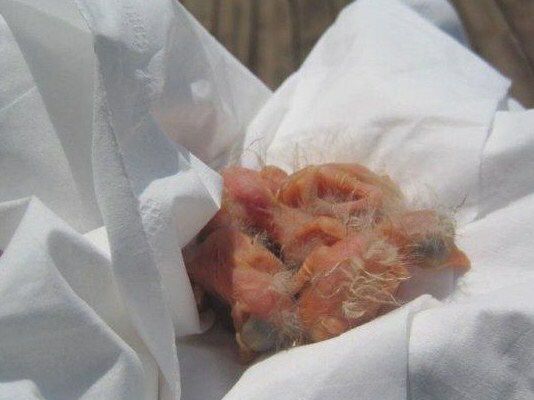 We don't find lead poisoning in Sandhill Cranes often. When we asked, the Drobniks mentioned the lake was very low. I will explain why that is a problem and why it can lead to lead poisoning in a future blog. Forgive the haste of this writing. 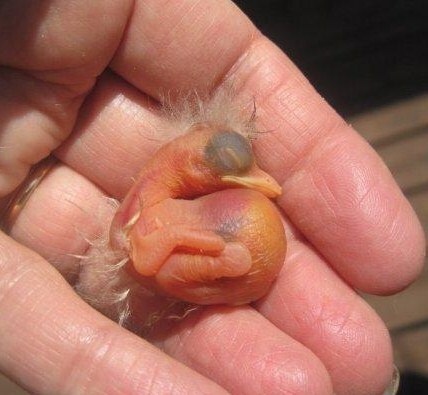 Baby birds are calling and need to be fed. More photos and updates soon. As always, our thanks to the great folks that have played a part in saving these fragile creatures. Have a great tomorrow everyone.